Sometimes the thrill of mathematics doesn’t come from the question, but from a beautiful solution. Byer, Smeltzer and Byer’s University of Delaware PhD advisor Felix Lazebnik began talking about writing Journey at about the same time the trio’s earlier textbook Methods for Euclidean Geometry (MAA, 2010) was published. All three had doctoral training in discrete math and had taught it many times, and “it seemed like a good second joint project,” Smeltzer said. Professor Owen Byer and his colleagues began using the textbook long before it was published. There was a beautiful way to help with that problem, however. Doing that had distinct benefits: Students could learn from a textbook grounded in experienced educational practice. Plus, students’ fresh eyes would help tease out what needed better explanation – and they’d find mistakes, discoveries that were often rewarded with bonus points. Showalter often teaches using a flipped classroom model, a model that depends on having a clearly written textbook: students learn concepts on their own from the textbook, and show up to class for answers to their questions and content-related activities. Even prepublicaton, he said, the evolved Journey proved an effective flipped-classroom text. 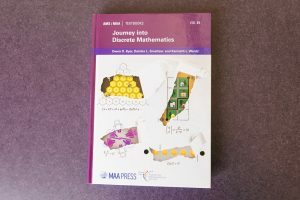 Byer expects Journey to be adopted more widely than the “niche” Methods, as discrete math is taken not only by math majors but also students in computer science, and since MAA Press is now an imprint of the American Mathematical Society. That’s no surprise, of course, taking into account the authors’ cumulative expertise from decades of teaching – and loving the beauty of – math. Congratulations on the textbook publication. It almost entices me to study math again at age 79! Congratulations! I know that writing a book is a huge undertaking – yes, I too have done it. 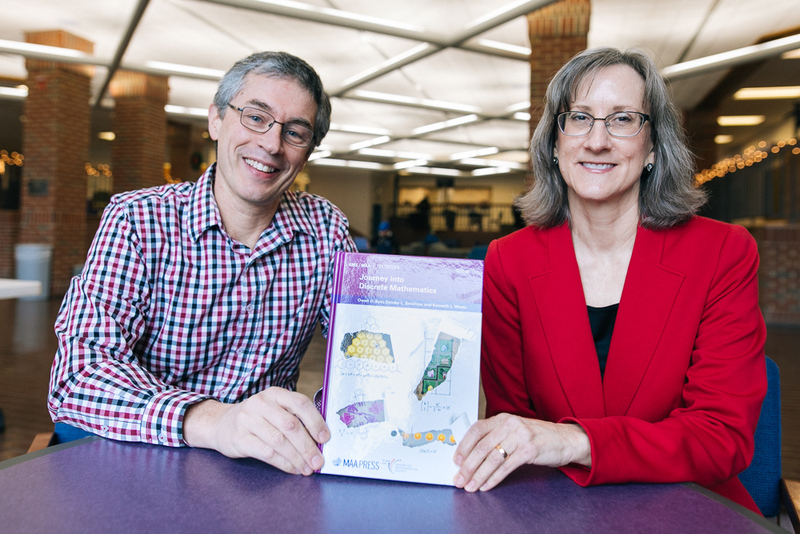 Two separate Editions of “The 3-D Global Spatial Data Model” are in the EMU library. As a side note, after I retired from teaching in 2010, I audited 6 different courses in the Computer Science Dept. The text book for one of them was 4th Edition of “Discrete Mathematics with Applications” by Susanna S. Epp. Good “stuff” and essential for spatial data applications. My traditional engineering education relied heavily on geometry and calculus. That is great but, this point could be argued, matrices and discrete math currently eclipse that priority.